New rules brought in by the P.E.I. Liquor Control Commission allow people eating at Island restaurants to buy a bottle of P.E.I.-made alcohol to take away. 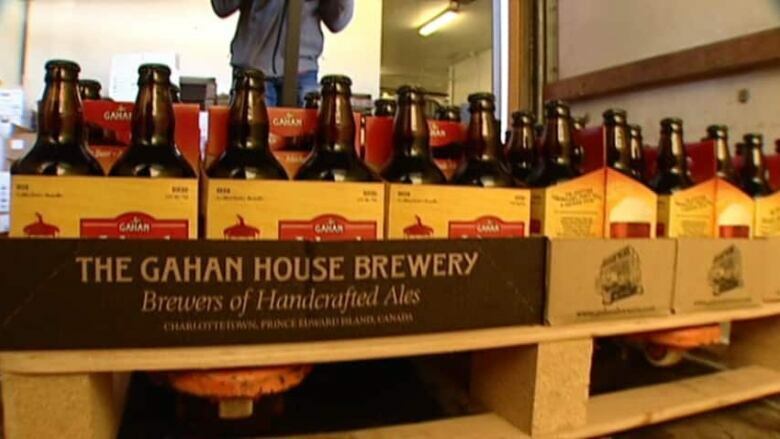 Under the new rules P.E.I.-made alcoholic beverages will be available for take out from Island restaurants. People will have to eat a full meal in order to be able to do that, and the amount of unopened beer, spirits or wine that can be purchased will be limited. Restaurants will have to get a special licence from the Commission. Jamie MacLeod, director of corporate services, said feedback from manufacturers and restaurant owners has been positive. "We're aware of three other provinces and two territories who have similar but not identical licensing schemes," said MacLeod. "Ours is more restrictive. The customer, patron of the premise, must first purchase and consume a full-course meal." Hours of sale are 9 a.m. to midnight. MacLeod said the restrictions are in place to ensure patrons don't just walk in and walk out with an unlimited amount of alcohol. The changes to the Liquor Control Act went into effect March 1, but it is unclear how many restaurants are participating.